Does anyone know what this is? I haven’t been able to figure it out. I didn’t want to touch it so I don’t know if it was growing there (there were no other plants growing nearby) or more likely the wind blew it there. Whatever the case, I’m always attracted to colour so I was intrigued enough to walk off the path and check it out. 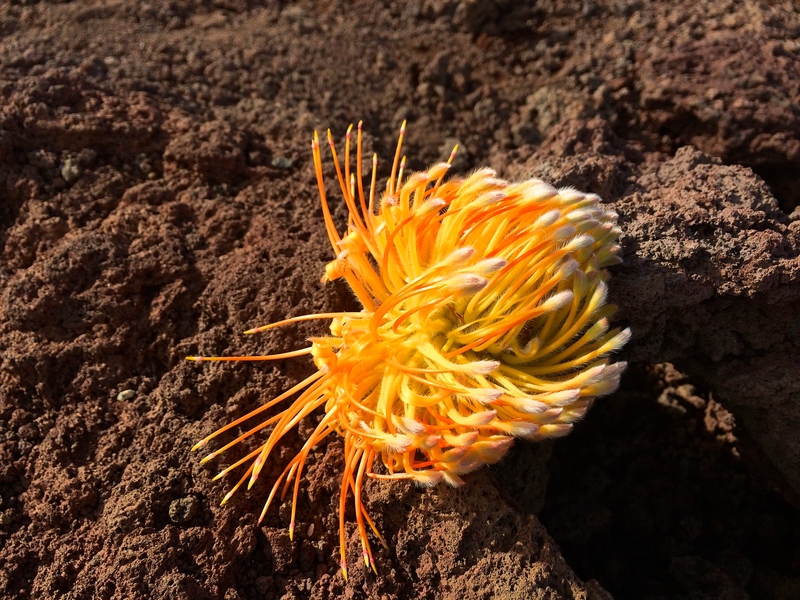 This entry was posted in Flowers, Maui, Photography, Travel and tagged Haleakala Flora, Haleakala National Park, Maui, photography. Bookmark the permalink.